The service mesh toolbox provides a bevy of features that can address different microservices challenges, but enterprises have additional requirements. They need added features that address policy, configuration and a uniform view across large distributed teams. Aspen Mesh provides features that make it easy for the enterprise to run service mesh in production. 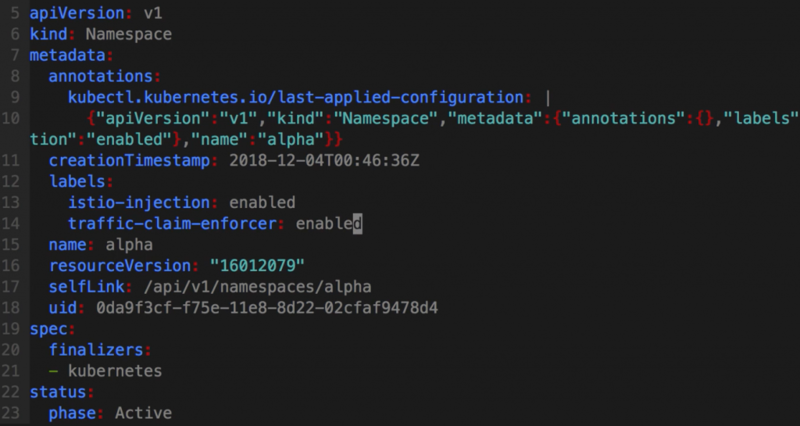 Istio Vet is a tool that helps discover incompatible configuration of user applications and Istio components in a Kubernetes cluster. Vet can help you spot misconfigurations that might cause unexpected or incorrect service mesh behavior. 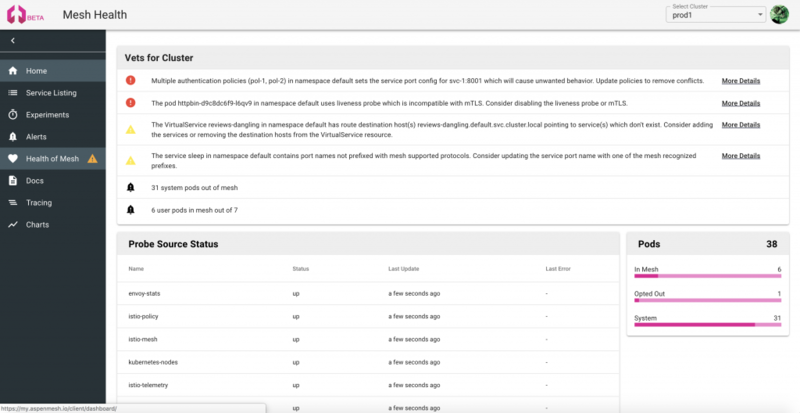 Istio Vet is part of the Aspen Mesh UI and will alert you to any configuration errors and show you how to fix them. Traffic Claim Enforcer controls networking policy that is configured in your Kubernetes cluster. You can use it to prevent teams or projects from configuring faulty policy that interferes with legitimate policy. This is especially useful if you have a cluster that contains configuration from multiple teams or sources, for example a cluster that runs both end-user-facing services that are deployed to production and services being developed as part of a staging environment. You can use TrafficClaims to prevent the staging services from accidentally tampering with production services traffic. Aspen Mesh is a fully hosted SaaS platform that includes Jaeger and Prometheus as part of the dashboard. That means we manage the datastore for your metrics and traces so you don’t have to spend time or money figuring out how to store key data coming from the mesh. We have been running Istio in production for nearly two years, and have learned a few things along the way. 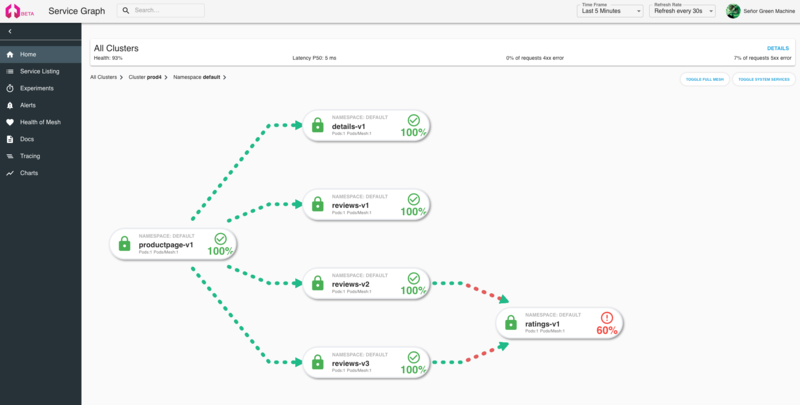 As Istio experts, we thoroughly test all of our releases and address any critical bugs of security flaws before distributing to our users. When you ru Aspen Mesh, you get all the benefits of Istio without any of the concerns.